Choose your Fish, Veal, Pork or Chicken crumbed fillet topped with your choice of 7 amazing toppings. Happy Hour 3pm to 6pm everyday! Live music from 6pm with Dreadlock Holiday. 3 X ESPRESSO MARTINIS 150K ALL DAY! 3 X COSMOPOLITANS 150K ALL DAY! 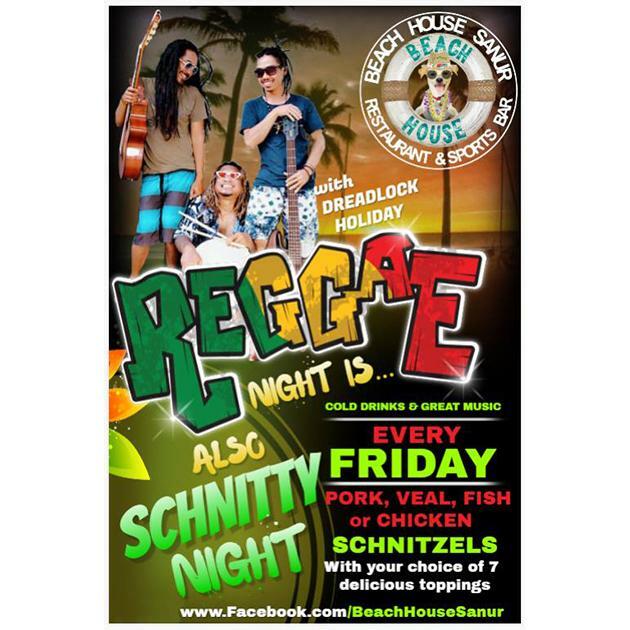 Beach views, catch the Sanur sunset and cool breezes with the best schnitzels and drinks!